Assuming the 3-Basic Questions are given 3-YES VERDICTS, it will be time to celebrate! Join the Cosmic Life Exposé™ (CLE) as Humanity-Earth officially enters the cosmic life reality era. We kick start Humanity-Earth's new cosmic life reality phase (as the newest member of the cosmic brotherhood) with a true, planetary scale celebration! 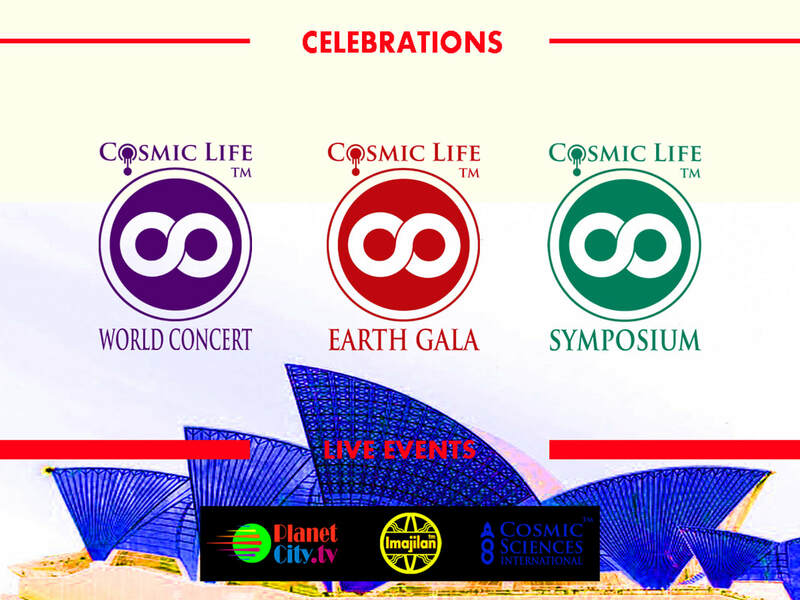 The WORLD CONCERT will be held in 12 major international cities, offering the most amazing line-up of music and show talent ever seen on the globe in the single largest celebration of all human history---a true planetary scale event! VIPs from around the world in their respective regions and countries will be leading our planet in world-wide jubilation and celebration. Crowning the World Concert will be the grand finale EARTH GALA! Nothing can prepare the world for this amazing Crème de la Crème, VIP line-up of world dignitaries, celebrities, royalty, movie stars and leaders of industry, science, academia, technology, philanthropy, society and far more---all rubbing elbows--many speaking to directly to global TV cameras and offering their praise and wisdom to world fans! Both educational and newsworthy (revelations) and entertaining (celebrations) our Symposium event is considered a hybrid event that includes aspects of "LIVE" TV. Event visitors will be treated to renowned speakers, authors, cosmic theme art, culture and museum exhibits. TV viewer will be astounded as some of their favorite personalities, celebrities and the planet's top experts educate and celebrate on camera! The CLE World Concert and Earth Gala are the "must attend" and "must watch" event of the millennium. World viewers on all combined platforms of TV, Net, Mobile, Satellite, Radio and more are expected to break all records! CLE has partnered with PlanetCity.TV so no matter where you are in the world, you can probably be a part of history in the making! In most areas, viewership is 100% FREE!